When he assumed his duties, the Head of the Department found himself in a complete vacuum – none of his predecessors had done anything and everything had to be organised and developed from scratch. Minutes of Meeting No. 54 of the Provisional Government on October 10, 1917. Minutes of the Provisional Government 1917–1919. Students’ Union Liivika. Publication no. 12. Toronto, 1990, p. 234. P. Põld retained his seat as a member of the Provisional Government and its Board when the government was re-elected on October 12. The mandate of this government ended on February 24, 1918 (according to the current calendar) when the government formed by the Committee for National Restoration came to power. Peeter P�ld was the first Minister of Education of the Government of the Republic of Estonia. from November 12 to 27, 1918 (according to the new calendar). 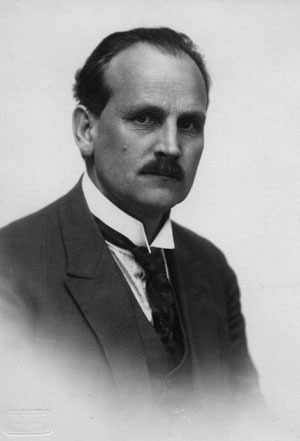 Peeter Põld chaired the Tartu Town Council from 1921 to 1930. He enjoyed the respect of the other council members because of his neutral approach and capable management of meetings. He was elected chairman year after year. Peeter Põld was trusted as a well-educated, highly moral and well-meaning person dedicated to the development of his town. 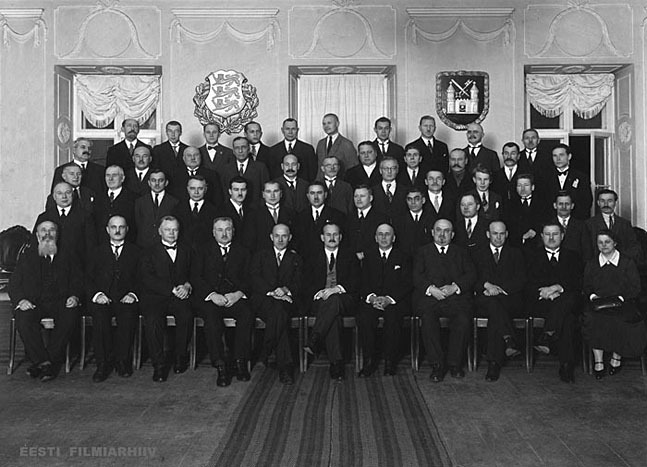 Tartu Town Council 1927–1929, December 30, 1929. Front row, from left: P. Kase, V. Tubin, A. Mägi, A. Mõru, Mayor K. Luik, Chairman of the Town Council P. Põld, J. Lill, I. Märtsin, K. Pahk, V. Tamman, I. Emblik etc. Estonian Film Archives. It was a great honour for all Estonia, and for Tartu and Tartu University in particular, to host the 18th World Temperance Union Congress and also the 12th such congress of the Nordic countries in July 1926. 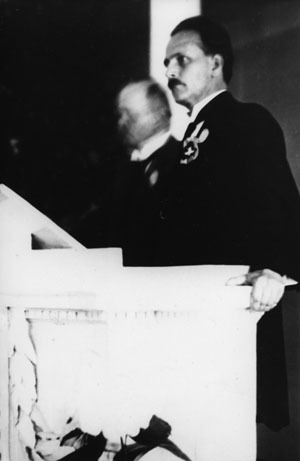 Peeter Põld was the chairman of the Estonian Temperance Union from 1926 to 1930.
in the auditorium of Tartu University on July 22, 1926. Minutes of Maanõukogu Meeting No. 76, February 5, 1919. Minutes of the Provisional Government 1917–1919. Students’ Union Liivika. Publication no. 12. Toronto, 1990, p. 381. Common general comprehensive schooling is the only possible form of providing public education that meets the requirements of a democracy and which does not differentiate between social strata or position. Common basic schools provide all children with a specific and essential education; they are taught the basic functions of societal life and they are trained to acquire the skills which are conducive to national cooperation and develop their understanding of their civic duties. There is no other way. 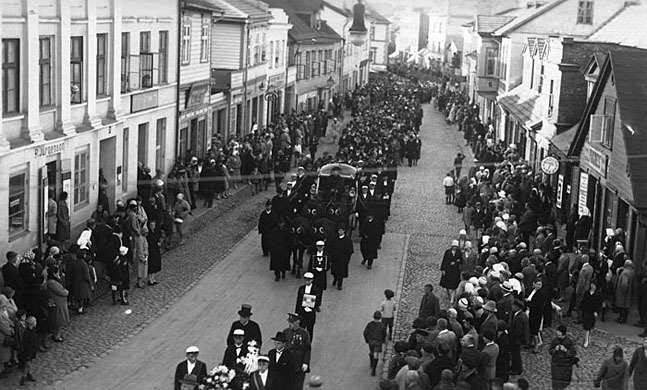 Meeting of the members of Riigikogu IV on June 10, 1930. Complete minutes of the meetings, from meeting No, 56 on May 6 to meeting No. 84 on July 12, 1930. Tallinn, 1930, p. 1490. 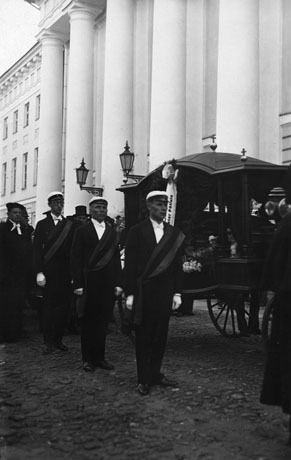 The funeral of Peeter Põld took place in Tartu on September 4, 1930. The Estonian tricolour flag was flown at half mast from the Tall Hermann tower and candles were placed on the windowsills of the Toompea Castle White Hall to commemorate this great man. 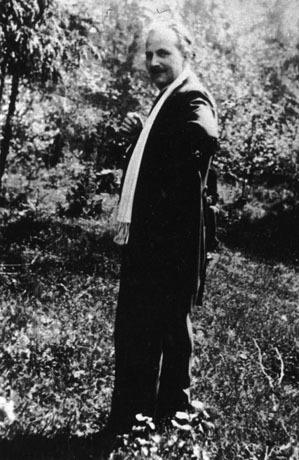 One of the last photos of Peeter Põld, 1930. A Farewell to Peeter Põld in Alma Mater.